Known for its wine and iconic black rooster, there’s a hardly an Italophile who hasn’t heard of “Chianti,” and more specifically, the DOCG (Denominazione di Origine Controllata y Garantiti) Chianti Classico wine that hails from there. 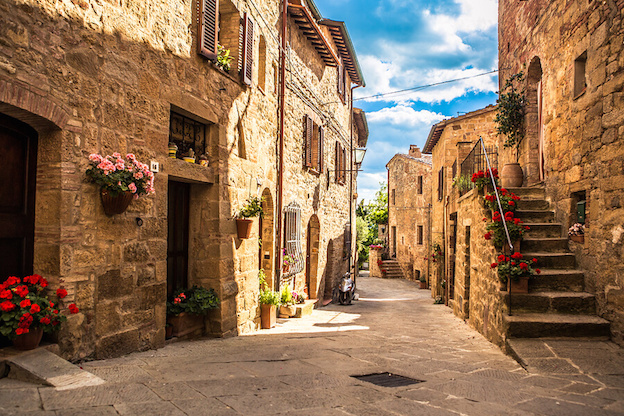 "There" being a section of Tuscany well-known for its evocative picture-perfect scenery, where one can happily lose themselves in vibrant rolling hills with tidy vineyards that change with every season. 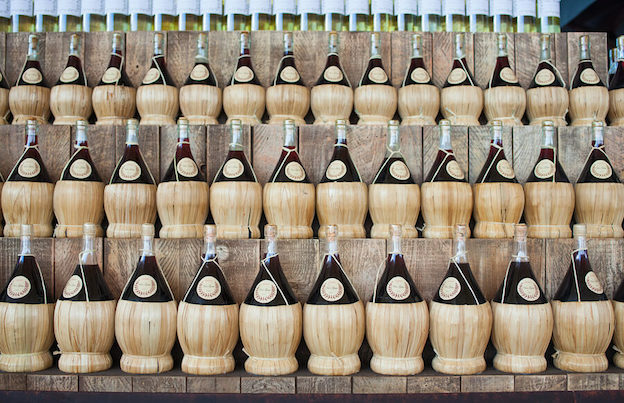 It might be hard to believe but it is thought that over 35 million bottles per year are produced in the Chianti area alone. Its borders lie roughly between Siena and Florence along the Via Chiantigiana in the upper Arno valley, the original (and some say the most authentically Chianti) area is situated around Gaiole, Castellina and Radda. Though you’ll see that nowadays there are around seven areas which include places like Montalbano and Rufina. For those curious to see for themselves but want to leave the car at home, the great team at CiaoFlorence can take you on a half-day excursion offering a beautiful window into seeing what all the fuss is about. On a more personal note, they helped us learn more about what is one of the most popular places to visit in Tuscany. I am personally biased in this area of Italy because I live in Florence. It's pure joy that it’s only a stone’s throw and a bus ride from these rolling hills with so much wine-soaked bounty and wonderful food to match. In the spirit of 2017, here are our top five reasons on why you should include the area of Chianti wine country on your next trip to Italy. Have a glass or three for me while you’re at it! It would be a shame not to mention the primary reason why people come long and far to visit this area of Tuscany, for a nice glass of Chianti Classico. Part of the reason the wine is so famous here is for the mild climate and fertile soil and labeling here is strict to avoid fakes taking away from the Chianti brand. According to Chianti.com “classico wine has to respect specific rules. 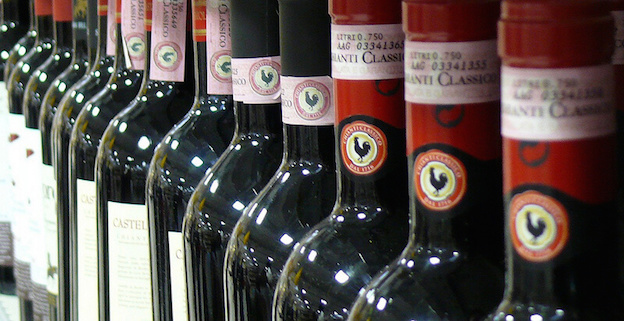 To easily break it down, a wine classifed as Chianti must be 80% of Sangiovese (the red grape native of this area) which is allowed 20% of other grapes which include native grapes such as Canaiolo and Colorino, as well as other international varieties such as Cabernet Sauvignon and Merlot. I’ve read that even Trebbiano or Malvasia is sometimes used. The color you get in a glass typically embodies a ruby red, with the best grapes are kept for the riserva bottles, the wine in general contains a higher acidity than other Italian red wines. It matches well with Tuscan cold cuts and aged sheep cheese and grilled meats. It’s important to remember that Chianti is produced in many different areas of Tuscany,seven sub areas to be exact. However, the Chianti Classico or black rooster is just in one specific area, the oldest and most authentic area of the region. One tip is to look for the pink label with a black rooster. Also, while you might think that all of Chianti’s wine is served in straw-covered bottles but that is a relic from history (which you can still find in kitschy souvenir shops), with wineries preferring a more traditional glass bottle instead of the “flask” from the past. When Florence gets overrun by tourists, some fresh countryside air is a refreshing change of pace. 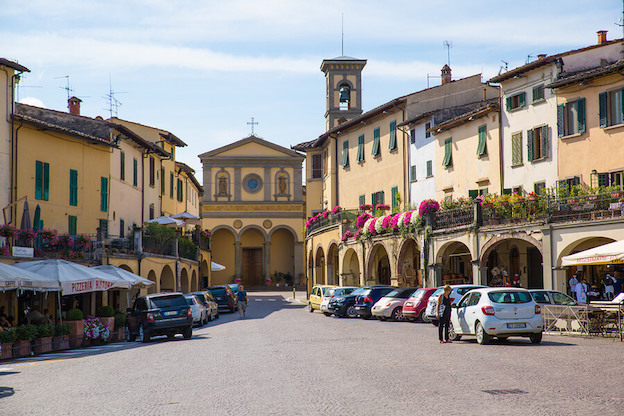 There are several small towns worth exploring in the area, starting with the iconic Greve in Chianti, several times a year the triangular main square Piazza Matteotti plays host to local wine festivals. You can also visit the Museo del Vino to see how wine was produced historically. Nearby is one of my personal favorite small towns, the picturesque village of Montefioralle -- named after old fig trees that previously populated the area. Each corner is prettier than the last, its ancient stoen alleys popping with color from plants on local doorways. Don’t miss their Festa di Fritelle which takes place every year following St. Joseph’s day. Other favorites include Castellina in Chianti, Gaiole in Chianti, Volpaia, Radda in Chianti and Castelnuovo Berardenga. Castelnuovo is home to a great restaurant I recently discovered, La Taverna della Berardenga, which is constantly full of long tables of local families digging into their hearty Tuscan fare. The area was fiercely fought over between Florence and Siena during the Medieval period until Florence won out in the 16th century. In 1716, the Grand Duke of Tuscany, Cosimo III de Medici officially defined the borders of the Chianti territory. The official Chianti “recipe” of grape varieties is credited to Baron Bettino Ricasoli, the second Prime Minister of Italy in 1872, 70% Sangiovese, 15% Canaiolo and 15% Malvasia. The Consortium for the Protection of Chianti Wine was founded in 1924, with the black rooster on the label which is the symbol of Chianti Classico. This was thought to have been derived from a painting of a black rooster on a golden background in Palazzo Vecchio on the majestic ceiling of the salone del Cinquecento by Vasari. Though we have also heard other legends. One enjoyable pastime for many of us city dwellers is driving out to the countryside during the changes of the seasons to enjoy the cascade of colors that arrive together with spring, summer and fall. Harvest time is possibly the most magnificent time to visit, September marks this beautiful time when farmers gather their grapes to start the year’s harvest. This coincides with many local festivals that traditionally takes place in the area. 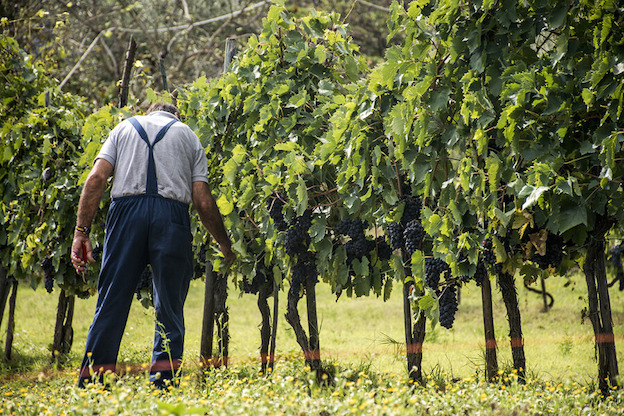 The local town of Impruneta has one of the most impressive events, “la festa del uva” in celebration a sheer allegory of the grape occurring the last Sunday of September. 5. Getting there isn't as hard as you might think, but skip taking a car! The great thing about the Chianti area is that it is a lot closer to get too than other places in the region. We say skip renting a car so that you can enjoy your wine with peace. Consider it an easy bus ride from the Santa Maria Novella central station or you can hop on a half-day tour to discover some of the highlights of the region with a trusted tour company who will stop at nothing to give you and your friends a truly memorable taste of Tuscany. If you are looking for a fun half-day introduction to the Chianti Wine Region we suggest a visit with Giulio of CiaoFlorence.com who will take you for tastings at two wineries where you will learn the secrets of winemaking plus a visit to Greve in Chianti.